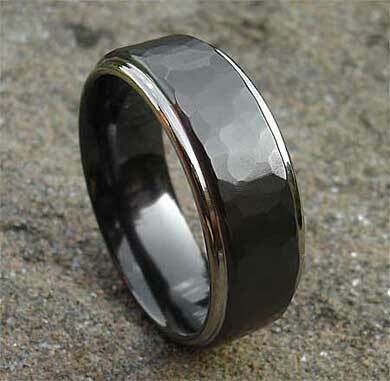 Men's Hammered Black Wedding Ring : LOVE2HAVE in the UK! 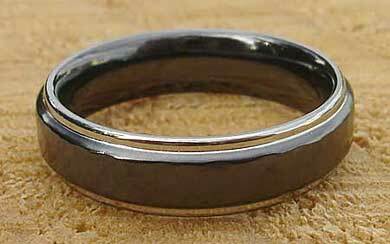 This particular men's wedding ring is our most popular and stylish black hammered wedding ring we feature for both men and women. 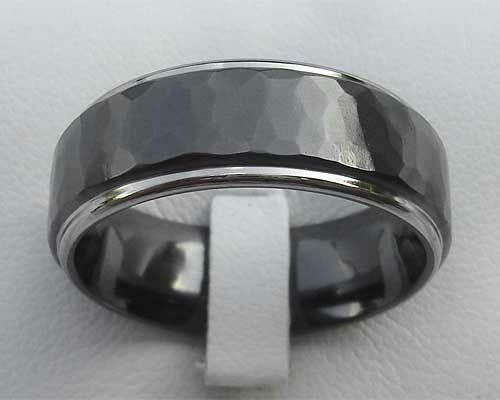 It is a shoulder cut flat profile zirconium wedding ring with natural edges and a hammered centre. The width options available for this ring range from 4mm to 12mm. The hammered section is raised in a stepped profile arrangement and gives the impression that it is a separate strip of metal sitting on the silver colour, but this is not the case, it is brilliant machining that produces this effect. 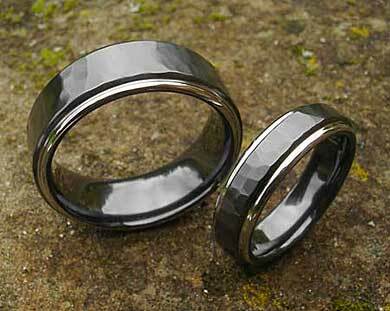 All our black zirconium rings are created using a heat treatment technique that turns the zirconium black before some of the blackened areas are removed by machine skimming to create a two-tone look. The two-tone finish is in fact, lathed to remove the black coating and then the hammered texture is created by hand using traditional handcrafting. The hammered area has a satin finish while the shoulders are nice and shiny. Width(s) Available: 4mm to 12mm.